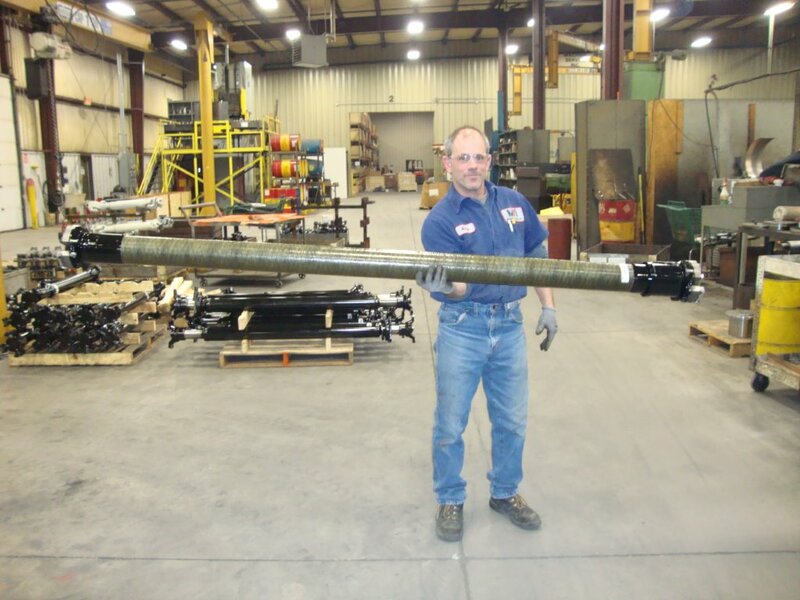 News | Machine Service, Inc.
GREEN BAY, WISCONSIN – Machine Service, Inc has acquired Prop Shaft Supply, a 17-year-old firm that engineers and manufactures drive shafts and power transmission products. They are a global supplier of OEM drive systems that make specialty products as well as standard drivelines. With this business acquisition, MSI becomes one of the largest suppliers of drivelines in North America, thereby enabling both companies’ combined interests to become stronger and their customers to have better value than ever before. Machine Service has been offering high quality components for over 70 years and now has more resources to better serve all our customers. This will bring a 30% growth on top of annual increases in business. Together our sales teams will offer the most respected brands in the world and compliment them with engineering support. “The MSI Team is extremely excited to help grow new market segments in the power transmission industry. With this combined resource acquisition, we will open new opportunities for ourselves as well as our customer base,” said Bryan Schultz, general manager of Machine Service, Inc.
“The merging of these two companies simplifies the challenges of today’s business environment. Together we can achieve greater success by leveraging our respective strengths and business synergies,” said JP Beierle, founder of Prop Shaft Supply. 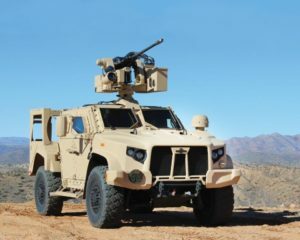 GREEN BAY, WISCONSIN – Machine Service Inc. will supply the key composite drive shaft system to optimize the performance of Joint Light Tactical Vehicles (JLTV) manufactured by Oshkosh Corporation for the U.S. Military. MSI is the established provider of high quality driveshaft solutions for many industries. 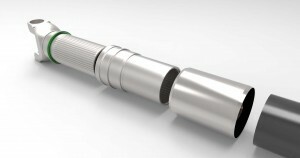 Adapting modern day technology to produce light weight drive shafts out of advanced materials, this design has proven to outperform any of the previous steel versions. These drive shafts weigh a fraction of the conventional designs. Their torsional and inertial characteristics help achieve a better overall performance on the vehicle with smoother power transfer and added safety while absorbing vibrations. The new Hybrid Drive Shaft (HDS) are a combined effort of MSI driveline professionals and aerospace technology. This ingenious engineering effort of integrating carbon fiber properties together with other lightweight materials was awarded several patents. Additionally, MSI’s shafts have a superior critical speed and elastic limits never seen before. “Basically, this means the drive shafts can be made stronger, lighter and longer than ever before. This opens opportunities to be more creative in chassis design configurations, “said Bernie Pisinger Engineering Manager of MSI. Machine Service Inc. has been involved with the U.S. military and dates back decades to the Persian Gulf War in Kuwait when they manufactured drive shafts for military support vehicles. MSI also critically assisted Oshkosh with the Mine Resistant Ambush Protected (MRAP) contract, the MATV. This involved supplying thousands of drivelines on a DX priority contract in a few months’ time. Currently, MSI is providing the most technically advanced drive shafts for the enhanced safety of the Joint Light Tactical Vehicle (JLTV). Thousands of the vehicles will provide protection for our warfighters for decades to come. They take pride in providing safe, world class solutions and look forward to the new challenges in todays dynamic military. Heavy-duty truck markets are continuing to demand advanced and lightweight powertrain systems. From the engine to the axle, more integrated designs are required. The focus is not only to save on fuel costs but to increase drivetrain lifespan while lowering maintenance requirements. A slower RPM means higher torque values. A higher axle ratio results in improved fuel mileage. These are the challenges that face the industry today. MSI is meeting these challenges with innovative designs to incorporate in powertrain systems. Today, MSI is leading the charge with a patented carbon composite driveshaft assembly design which includes the use of specially manufactured aluminum alloy components. Not only does this lessen the weight of the driveline by as much as two thirds, it also improves the overall lifespan of the system. Carbon fiber’s unique vibration and harmonics dampening characteristics soak up the vibration similar to dropping a sponge or paper towel into a pool of water. These properties help to reduce the torsional and residual flex which produces less stress on the powertrain system. In addition, these composite characteristics can be customized in size for specific applications. Many of the automotive, commercial, industrial, defense, and marine industry leaders have chosen this high performance composite shaft design as a cost effective solution to be utilized on everything from daily applications to extreme performance racing automobiles and class 8 rated vehicles. MSI has acquired a new process for bonding driveshafts together to outperform the traditional welding shafts. The new design utilizes a composite tube specialized for the defense, space, aviation, industrial, marine, and automotive industries. The bonding fusion is consistent with the contact area and allows for a high transverse load never seen before. The orientation of the graphite fibers reduces the residence of the torsional spring rate creating a smoother and softer engagement. New robust lightweight aluminum end fittings deliver extra strength with half the weight of the comparable carbon steel component. This patented technology is only available in the composite design. Furthermore, it uses an inverted slip with a protective sealing lip to reduce any type of contamination that would threaten the life of the slip arrangement. Compiled with the patented involute spline, this shaft offers a great many advantages to the old exposed type such as more tooth surface area engagement and a teflon coating to reduce the friction for the slip that limits the axel load of the universal joints. This improvement will increase the lifespan of the universal joint as well as the slip mechanism. This all new design will save you on weight for better mileage and payload, added strength and life and softer operation for long associated components longevity. Also less moving parts because one shaft can replace the standard two piece design. Less weight, safer, and more reliable. The better performance solution for today’s most demanding professional and real-world environments around the world. Machine Service, Inc. (MSI) is headquartered in Green Bay, Wisconsin, and is one of the world’s largest suppliers of metric and American standard drive shaft parts and assemblies. MSI has grown dramatically from its modest beginnings located on the shores of the Fox River and is committed to offering high quality components and providing excellent service based on the innovative spirit and strong work ethic of its employees. Edward Fowles, Sr. recognized a need for drive shaft production in the Green Bay area and developed a market niche shortly after he started his small business in 1948. He began operations in a 20-foot by 30-foot frame building on the west side of the Fox River. The location was directly across the river from what was then Charmin Paper Company. In 1952, a move to a new location just two blocks from the original Fox River location provided over 1,800 square feet of floor space and allowed the business to expand. As the drive shaft business grew, Mr. Fowles decided to study this segment of the machine business. He made numerous trips to Chicago to study drive shaft manufacturing there. He also met with major manufacturers of driveline components such as Dana/Spicer and Borg Warner. It was then that the young entrepreneur decided to make drive shafts a major focus of his business. Ten years later in 1962, as a result of continued growth, MSI added an addition to the existing block building. The 2,400 square foot metal building allowed for more parts inventory and new balancing equipment. 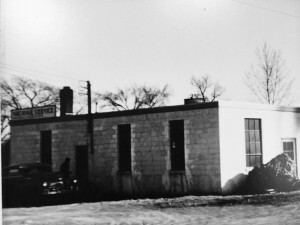 The incorporation of the company in 1968 led to the current name, Machine Service, Inc. Further building expansions in 1968, 1971 and 1979 improved efficiency and increased productivity. Mr. Fowles realized that his company’s potential growth would far outpace the production capacity of his current building. Therefore, in 1976 he purchased a 7.8-acre parcel of land in the Ashwaubenon Industrial Park. The move to the new 96,000 square foot building was completed in 1994. Improved shop efficiencies, new automated machining centers, creative office design, advanced phone and computer systems and easy access to major transportation routes were immediate benefits of the move. The first expansion outside of Green Bay was in Milwaukee, Wisconsin, in 1982. As MSI continued to prosper it became an industry leader in the engineering and production of custom made power transmission equipment. The business now had customer service counter areas with computerized inventory management, drive shaft fabricating machines and balancing equipment with computer readout to ensure the best quality for their customers. Today MSI is a major supplier to markets such as: steel, paper, oil, petrochemical, marine, transportation, printing, dynamometers, refuse equipment, concrete trucks, motor homes and many others. 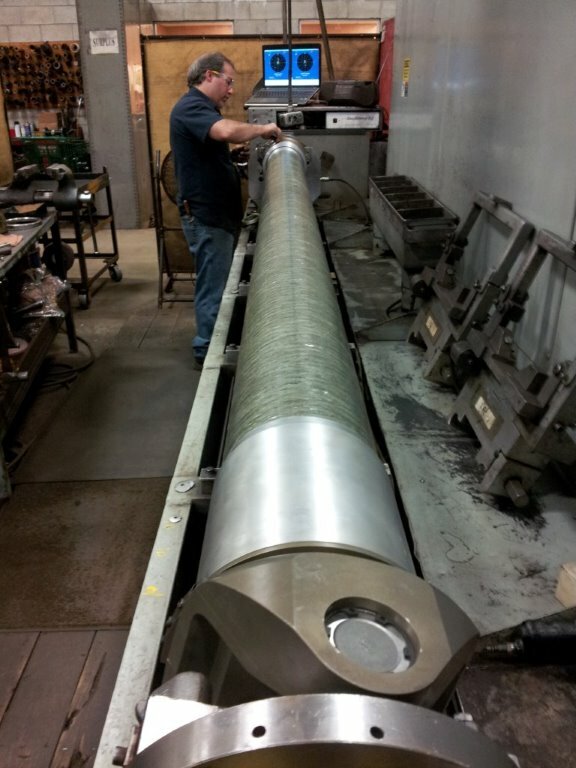 MSI has manufactured drive shafts for some unique applications such as the Hoover Dam, the Earthquake ride at Disney World, and converting Army trucks to four-wheel drive for the Persian Gulf War. MSI also manufactured a drive for a machine that made rocket boosters for the space shuttle. Part of the MSI mission statement reads “If we serve customers with creativity, compassion and integrity, if we remain vigilant in product and service improvement, we will have achieved our mission.” MSI believes in and follows this philosophy. Presently with over 175 employees serving clients worldwide, MSI continues to grow by responding to customers’ needs and changing technologies. MSI has certainly grown from its humble beginnings. But many of its key founding elements, such as manufacturing precision parts, offering high quality components and providing excellent service will always be part of MSI’s formula for success. With our company approaching its 70th anniversary this is an appropriate time to reflect on the foresight and goodwill of one man. It was his dream to pass on the legacy of this business to his family. His business has provided steady, secure employment and given his employees an opportunity to prosper. Because of him, and the efforts of his family, we continue to have a tradition of world-class driveline products manufactured and assembled in Wisconsin.